This about summarizes the true state of Turkish politics today: a Turkish filmmaker was given a lengthy prison sentence after being convicted Friday for producing a film that included a scene depicting President Tayyip Erdogan with a gun pointed at his head as his family lay dead all around him. The filmmaker, Ali Avci, had been arrested last year immediately after the release a trailer for his new movie, called "Awakening", based on the failed military putsch that captured world headlines in 2016, in which over 250 people were killed, and in which Erdogan was nearly overthrown. At the time Erdogan had to vacate his residence and office and Skype messages to his supporters while temporarily deep in hiding. 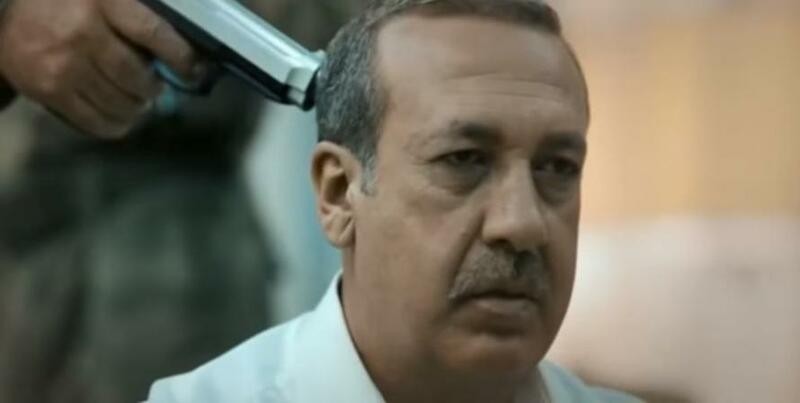 "Erdogan execution scene" from the controversial movie, "Awakening"
Avci was given a stiff six year prison sentence for producing the scene, and further he was convicted on charges of membership in a terrorist group. Six years of hard time is a massive sentence in most any country for making a film, but this seems par for the course in Erdogan's Turkey, who just consolidated his AKP party's iron grip over the country's main institutions during a June election. The powerful opposition figure Fethullah Gulen is still reportedly living in exile under US protection in Pennsylvania. Turkish intelligence has been notorious for attempting to nab some of his high profile followers in European countries of late. Meanwhile Pastor Andrew Brunson's trial continues as the American citizen remains under house arrest while facing terrorism charges, which has sparked a now months-running bitter fued between NATO allies Washington and Ankara. According to state media, the newly sentenced filmmaker who portrayed Erdogan's execution was said by the court to have been engaged in “public perception management in line with the core goals of the terrorist organization” through his movie. Avci denied the charges and pointed to the political nature of the film, echoing Erdogan's own words that confirmed he was the ultimate target of the failed putsch, which also involved air strikes on the presidential palace in Ankara. Such a film's popularity could prove deeply embarrassing for Erdogan, something the aggressive prosecution and film's suppression is seeking to prevent. “If I was trying to make terrorist propaganda, I would have shown Erdogan making plans to flee, instead of the praying scene,” Avci told the court, which remained unmoved. Currently international monitoring groups have estimated that some 50,000 Turkish citizens remain locked up after mass "political arrests" and are still pending trial. After the 2016 coup attempt, about 150,000 state workers including teachers, judges and soldiers were suspended.